A migraine is a severe pain in the head. 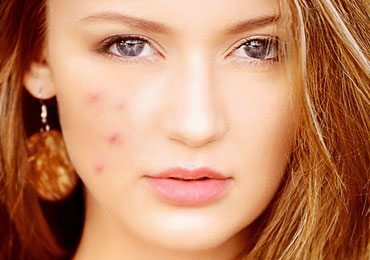 It normally occurs on one side of the head and lasts up to 72 hours. The pain is unbearable at times and the person is unable to do anything. There are different symptoms like a severe headache, pain, and nausea to mention a few; however, it will vary from one person to another. 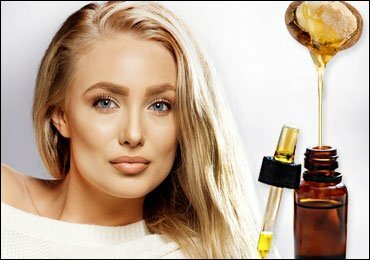 Although there is no specific cure for migraines, however, there are some home remedies for migraines which if followed properly will provide relief from the pain. Boil water in a container and add coffee powder to it. Allow it to steep for 1-2 minutes. Strain the liquid and add few drops of lemon juice to it. Drink it regularly two times in a day for best results. It is better to drink black strong coffee by just adding water to it than milk daily for quick relief. 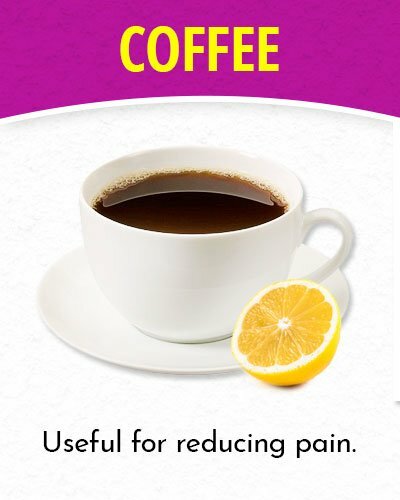 Coffee contains caffeine which is useful for reducing the pain. You can also prepare a cup of strong milk coffee in case you do not like the taste of black coffee and drink it every day. Take one ripe apple and cut into small slices. Put these slices in a blender and blend them thoroughly. Add sufficient quantity of water and blend it again to form a thick juice. Consume this juice in small quantities several times in a day. Apples are excellent for a migraine. 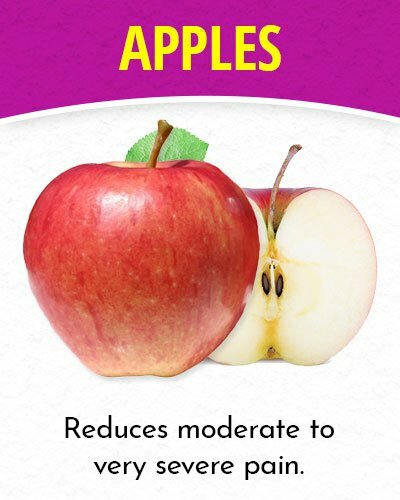 Both green and ripe apples are very effective home remedies for migraines. Even the smell of green apple really helps. Eat one apple every day when in pain. It will reduce the pain to a great extent. You can also add apples to the fruit bowl and consume it. Always remember to have apple juice without adding ice cubes to it, else it may aggravate the condition. Apple juice will reduce moderate to very severe pain. Boil water in a container and add green tea to it. Strain the liquid and drink it at least 2-3 times in a day. Boil water in a container and dip green tea bags in it. Let the solution stand for 2 minutes. Remove the tea bag and drink this solution several times in a day. 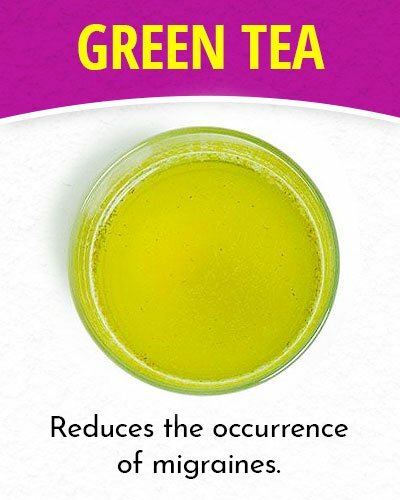 Green tea is a rich antioxidant and it really works for severe migraine pain. Regular consumption of green tea actually works in reducing pain to a great extent. It also reduces the occurrence of migraines. Take sesame oil in a container and warm this oil a little. Add cinnamon powder to it and apply it on the forehead and in the baseline skull. Massage gently for 5-10 minutes in a circular motion and take rest for some time. Head massage is a good therapy and helps a lot in a migraine. 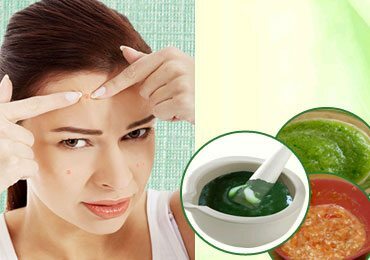 It is better to massage the forehead with oil to get relief from the pain. You can also use coconut oil as an alternative for sesame oil and massage the forehead with the same. Taking rest is equally important when you are suffering from a severe migraine. Take 2-3 ice cubes and wrap it in a cloth. Place the ice packed cloth on the forehead and keep it for 2-3 minutes. 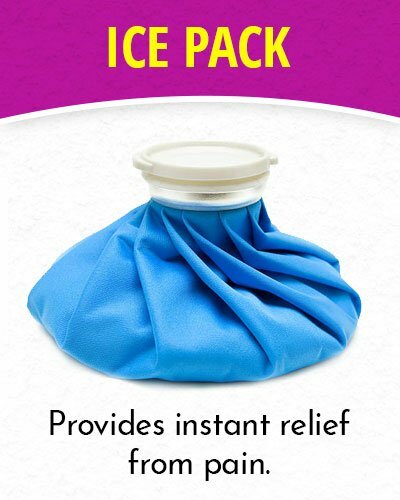 You can keep the ice pack for the smaller duration and remove it and again repeat the process. This cold compress method can be done 2-3 times in a day or as needed when the pain is more. The ice pack is good for migraine pain as it reduces pain immediately. 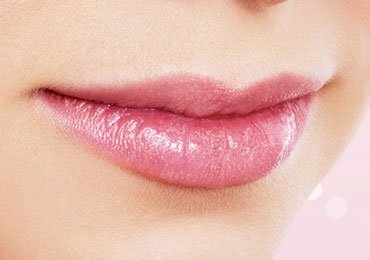 It makes the area numb and provides instant relief from pain. Boil water in a container and soak a clean cloth in it. Squeeze the extra water and wrap the warm cloth around the head covering the temple and skull baseline. Leave it for few minutes and continue for some time till you witness the significant reduction in pain. 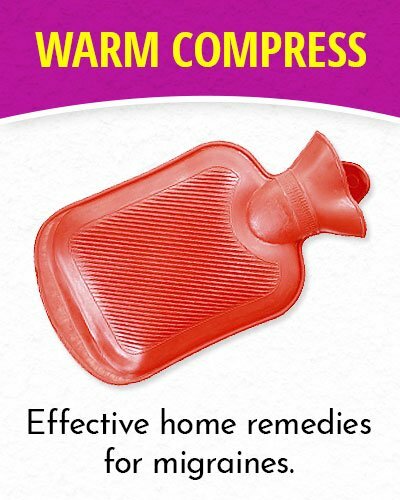 Warm compress is exactly the opposite of cold compress. You can also use a hot water bag on the temple. It works similar to a warm compress. 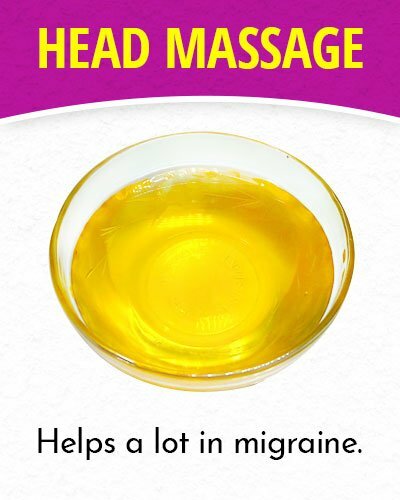 You can also use lavender oil or peppermint oil as they are effective home remedies for migraines. Boil water in a container and add fresh mint leaves to it. Drink it at least twice in a day. Take few mint leaves and prepare a fine paste of it. Add few drops of peppermint oil to it. Apply this pack on the temple and leave it for 20-30 minutes. 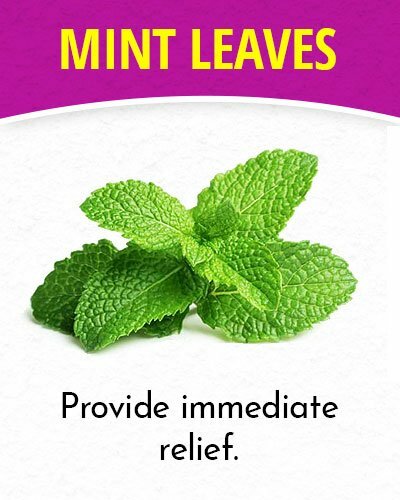 Mint leaves have anti-inflammatory properties and provide a cooling sensation to head. 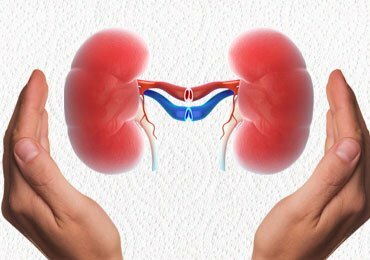 This will reduce the pain to a great extent and provide immediate relief. Take a handful of cherries in a blender and blend it thoroughly. Add sufficient quantity of water to it to form a thick juice. Add few drops of honey to it and drink it regularly at least twice in a day. Eat fresh cherries 3-4 times in a day. Add few cherries to the fruit bowl or eat a handful of cherries whenever you experience severe migraines. Cherry is also known for its anti-inflammatory properties. It is also a rich anti-oxidant. 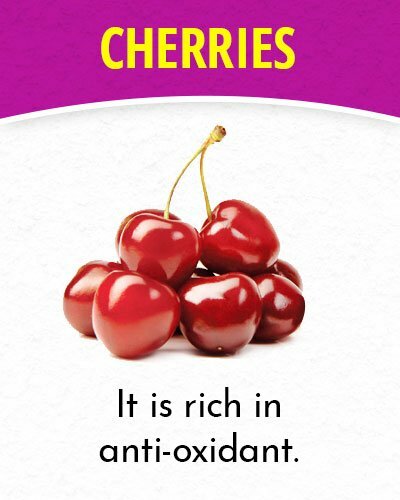 It is therefore important to eat cherries frequently when one is suffering from migraine pain. Take 2-3 lemons and keep the peels of it. Soak the lemon peels in water for few hours. Now grind the peels along with water to form a smooth paste. Apply this paste on the temples. Leave it for 20-30 minutes and wipe off with normal water. 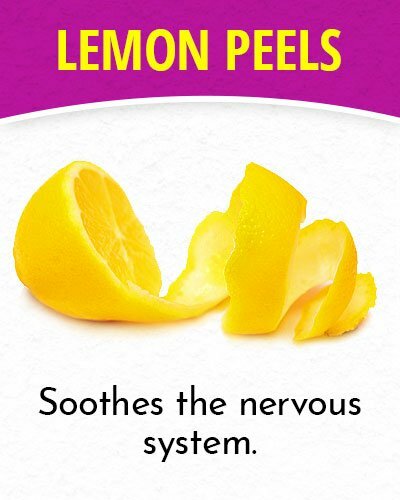 Lemon peels can be very effective home remedies for migraines. It soothes the nervous system and reduces the pain. Take 1 carrot, 10 spinach leaves and 1 ginger in a blender. Add little water to it and blend the ingredients to form a thick juice. Add salt and pepper powder to this mix and drink it regularly 2 times in a day for best result. 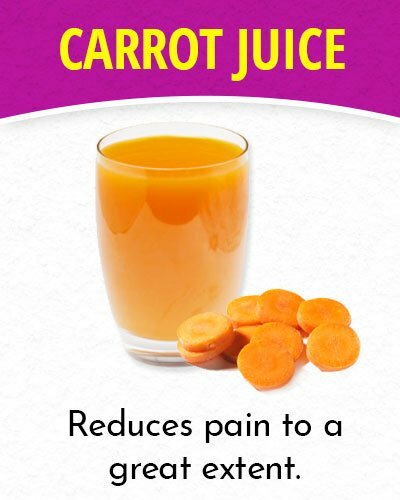 Carrot juice is excellent for migraine pain. It helps blood flow to the brain and reduces pain to a great extent. A migraine is a severe condition and should not be neglected. 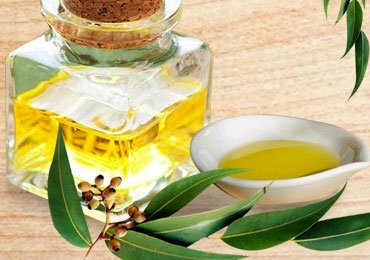 These home remedies for migraines are very helpful to get instant relief from pain. However, in case of chronic pain, it is always advisable to check with a doctor. 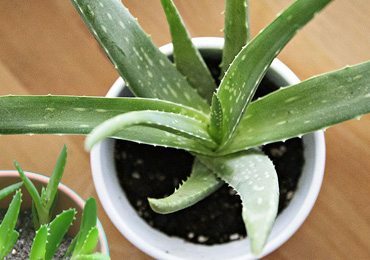 Medication along with these home remedies for migraines really helps. 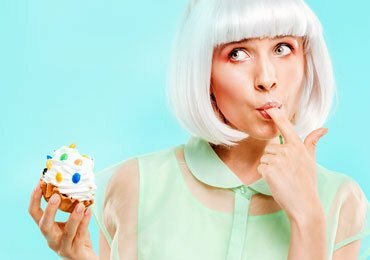 Hope you have found this article useful. In case of any suggestion or feedback, please feel free to share the same in the comments section below. 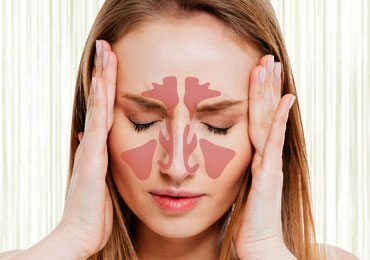 Read more – Best Acupressure Points for Headache & Migraines!